Suprise, suprise. A new study finds methane emissions from natural gas systems have been greatly Underestimated. Methane is a potent greenhouse gas. Is gas worth the risk? Is it better than coal? Let’s find out from the lead author of a new study looking at methane escaping from the gas system. 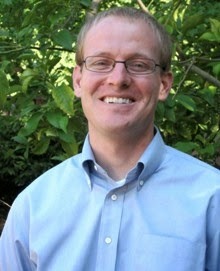 Dr. Adam R. Brandt is with the Department of Energy Resources and Engineering at Stanford University. The latest report on this problem is found in the paper “Methane Leaks from North American Natural Gas Systems“. It was published in the February 14th edition of the journal “Science”. Find the paper summary here. Brandt was part of a big team, with many names I recognize from universities, NOAA, the Lawrence Livermore Lab, even the U.S. Department of State. So we know this isn’t going to be an attack piece on fracking or the gas industry. In fact, Adam tells me right off the bat, this study was funded by the foundation established by one of the wealthy pioneers of fracking, the Cynthia and George Mitchell Foundation. This is part of my continuing coverage of methane emissions from natural gas. What could be more timely after a deadly blast in New York City, and a barrage of ads from the industry saying how green they are. Please notice I take care in the first story to let you know who funded this assessment of the industry, and some of the energy-friendly government labs who took part in it. Even so, they found a lot of leaking methane, and super-emitters in some states. The study found that previous Environmental Protection Agency figures on methane emissions from gas production and distribution were low by about 50%. But that excess gas, Brandt tell us, isn’t necessarily from fracking, but from the gas industry as a whole. For example, natural gas processing and compression plants have been underestimating their emissions. In past weeks on Radio Ecoshock, we heard how studies of Boston, Los Angeles and Washington D.C. found between 3 and 7% of all gas entering the city leaks out on a daily basis. Some of those leaks are large enough to be explosive, but authorities and industry have been slow to act. No wonder we see some tragedies. Brandt’s study found that a tiny percentage of equipment in the gas industry is leaking most of the methane. If those broken pipes, connections, and valves could be located inexpensively, it wouldn’t be too hard to greatly reduce the methane loss. Scientists and industry are working on cheaper locating devices. It’s not easy, because there are over 200 million miles of natural gas pipes under the United States alone! Download/listen to my interview with Dr. Adam Brandt here. Here are a few links to follow up. A decent summary of this study is here. Stanford’s press release is helpful here. I also liked this article in Technology Review, and check out the further links it contains, to track the problem further. Scientists know we are heading over a climate cliff, something not seen in human times on Earth. Why are they not speaking out? They are. The American Association for the Advancement of Science is launching a new report called “What We Know”. To talk about it, I reached Dr. James McCarthy – Alexander Agassiz Professor of Biological Oceanography, at Harvard University. Find some good articles articles covering the release of this report here, here, and here. And check out this short and realistic video, and get the report from the AAAS here! I seldom interview wall Street players about climate change and industry responsibility. So this release by the triple AAAS was a good chance to do just that. Bob Litterman is a former partner and risk manager at Goldman Sachs. With other Goldman alumni, he’s now with fund manager Kepos Capital. He was a Partner at Goldman Sachs, as the legendary “grandfather” and originator of “Quant” trading! To open, I ask Bob about the Carbon Tracker report outlining the huge risk that stranded assets of unburnable fossil fuels pose to the world financial system. Litterman was well aware of this, but says that without a price on carbon, or at least an expectation of a price on it, the market was unlikely to change its investment in energy companies. That is disappointing to me. I had hoped Wall Street executives would notice their kids and grandkids, asking themselves what kind of future they would have. That should be motivation too. Because I don’t see the U.S. instituting a price on carbon any time soon. According to Bob, that means no change from financial institutions. Which kinda means we are doomed to excessive climate change, according to the scientists I talk to. Anyway, I appreciate Bob Litterman talking about climate change, and the importance of this new release from the AAAS. Bob is aware of climate risks, and hopes a solution can be found. Read his interesting article “What Is the Right Price for Carbon Emissions” here. Almost as an aside in the interview, as a Board Member of the World Wildlife Fund, Litterman explains the WWF has investments in both coal and the Tar Sands. Fearing a possible price on carbon, they didn’t sell those investments. Instead, the WWF kinda green-washed the situation by using a derivatives swap to be able to say the income was from a general stock index instead. I’m sure wildlife heading for extinction would understand. None of us can afford to wait for a price on carbon. Pension funds, universities, non-profits and anyone with a brain needs to get out of fossil fuels right now. They are killing off our future. Congratulations to the American Association for the Advancement of Science for having the guts to speak against climate change and denial. We’ve all got the sinking feeling. Climate change could mean food shortages in the coming decades. But we don’t really know how, or how much. An international team of scientists has plowed through vast numbers of studies, trying to add up what we know. They’ve published a first look at their findings in the journal Nature Climate Change. the Nature Climate Change letter titled “A meta-analysis of crop yield under climate change and adaptation” was published online on March 16, 2014. At the the University of Leeds, where he teaches climate impacts, I reached the lead author, Dr. A.J. Challinor. Food experts, including Lester Brown of Earth Policy Institute, have used the maxim that for every degree of warming, world food production would be reduced by 10 percent. All though this new study doesn’t measure things in those terms, Challinore says that figure does that hold up. I ask how this new paper compares to the previous AR4 report of the Intergovernmental Panel on Climate Change, and will it be part of the new Fifth Assessment report coming out this year? Previous IPCC estimates thought food production might be the same, but this new study finds real problems as we go forward into climate change. As Challinore is also an author of the Fifth Assessment due out in a week or two, his work will be included. Radio Ecoshock listeners get an advance preview in this interview! Find articles about this study here and here. YOU CAN HELP KEEP NON-PROFIT RADIO ALIVE! That concludes another packed show from Radio Ecoshock. I’m your reporter Alex Smith. Please help this program keep going, with your financial support at our web site, ecoshock.org. are not easy times, and we need that platform for the uncomfortable truth to get out there. Here is a list of stations that broadcast Radio Ecoshock. Thank you so much for listening, and I hope we’ll meet again next week. While I was at EPA staff knew there was alot of methane leaking from refineries, pipelines ans wellheads etc. I doubt they had ever been directed to study and require reporting of methane leakage- the rules may allow methane leaks. See the methane leaks issue in EPA's NSR and MACT federal rule proposals.